The Boise Mountains are covered in the book on pages 144 to 156. 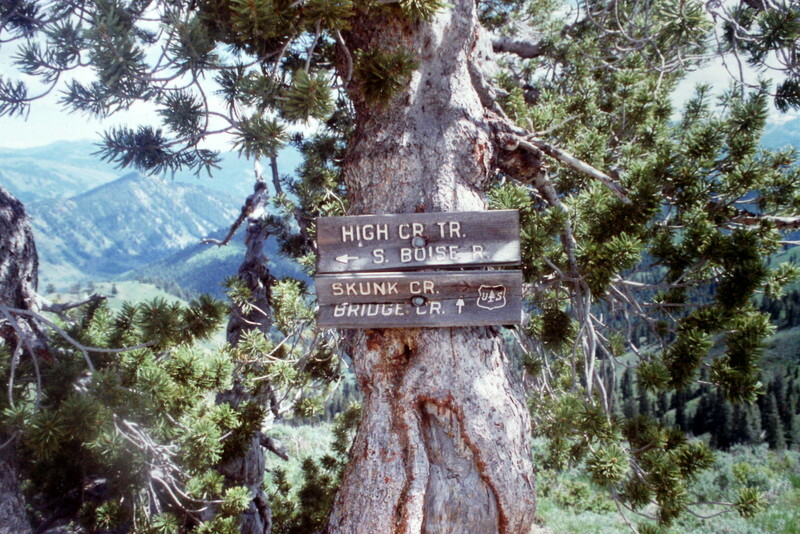 The Boise Mountain topography holds more than 20 mountain lakes and 35 named summits and many more unofficially named summits. Its terrain runs the gamut from gentle and rolling, to rocky and vertical. 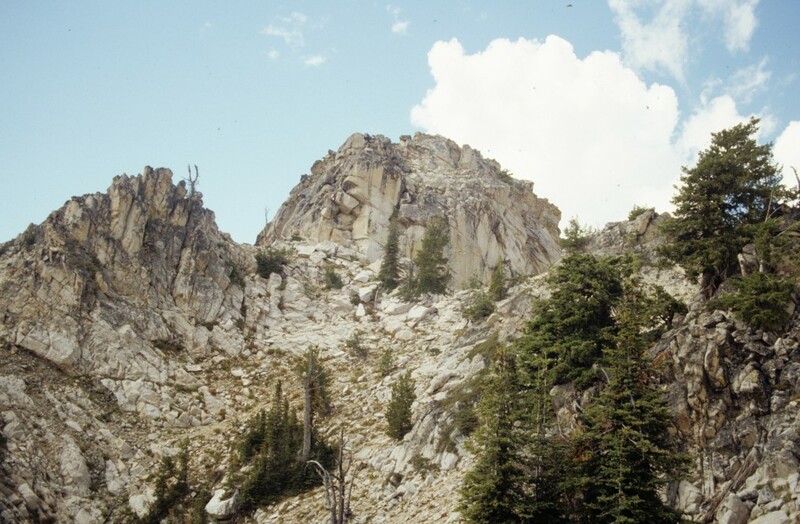 Two Point Mountain, which reaches 10,124 feet, is the highest point. 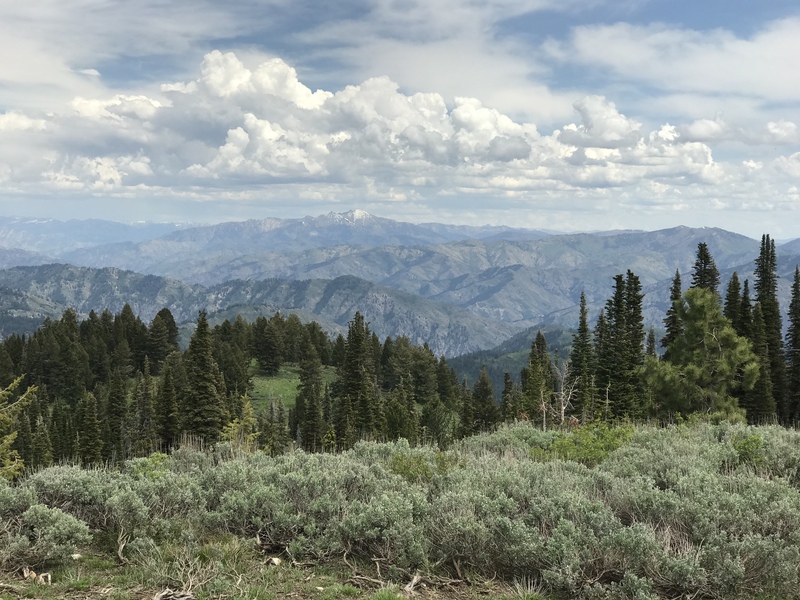 There are dozens of great summits in the range which range from long foothills romps like Heinen Peak to great ridge walks like Wolf Mountain. 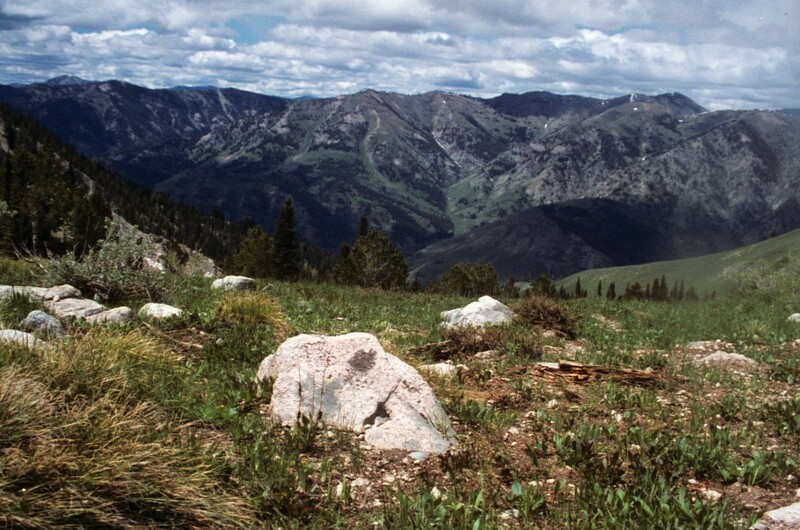 The Boise Mountains are hotter and drier than the northern Idaho Batholith mountains. Winters are relatively short, due to their low elevation and southern location. The Boise River’s South, Middle and North forks drain most of the range. The section of the range south of the South Fork Boise River is known has the Danskin Mountains and is a subrange of the Boise Mountains. The range is a complex and, at times, confusing conglomeration of ridges and drainages. Historically, the range’s primary use has been for resource extraxtion beginning with mining and then transitioning to logging. As those industries failed recreationist have taken over the mountains. 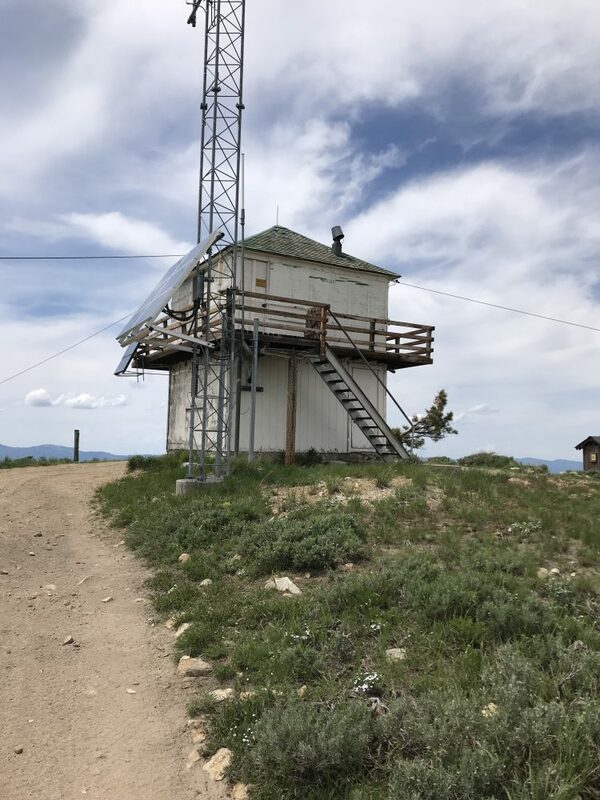 Nowadays, the Boise National Forest appears to be mainly concerned with fire fighting since the warming climate has caused much of the forest to burn in the last 30 years. 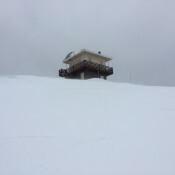 Nevertheless, most of the Forest Service’s fire lookouts are no longer used and many of them are falling into disrepair. The Boise Mountains’ once extemsive trail system is in need of massive amounts of work to bring it back to its past glories. 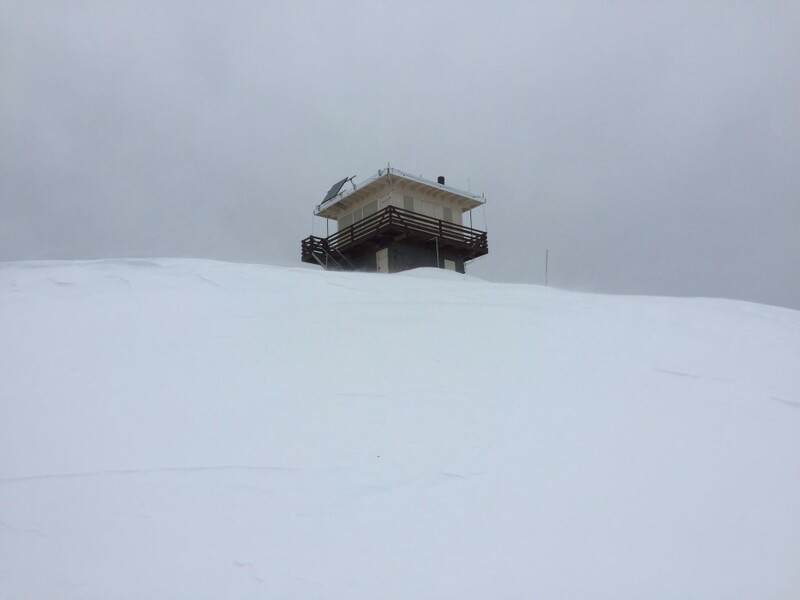 Nevertheless, the Forest Service does a great job of maintaining main roads which access many of the range’s peaks. Also, there is an extensive system of old (many abandoned) logging roads which work as trails. Finally, ATVers have created extensive trail systems in many areas. While these trails are not constructed to Forest Service standards, the Forest Service has adopted (but not maintained) the trails. These trails can be found on Forest Service vehicle use maps which are available for free. Many of the trails follow ridge lines and are perfect for accessing peaks. One of the best is the trail from Rabbit Creek Summit to Hoodoo Peak. Boise mountain terrain ranges from deep canyons to high ridges. 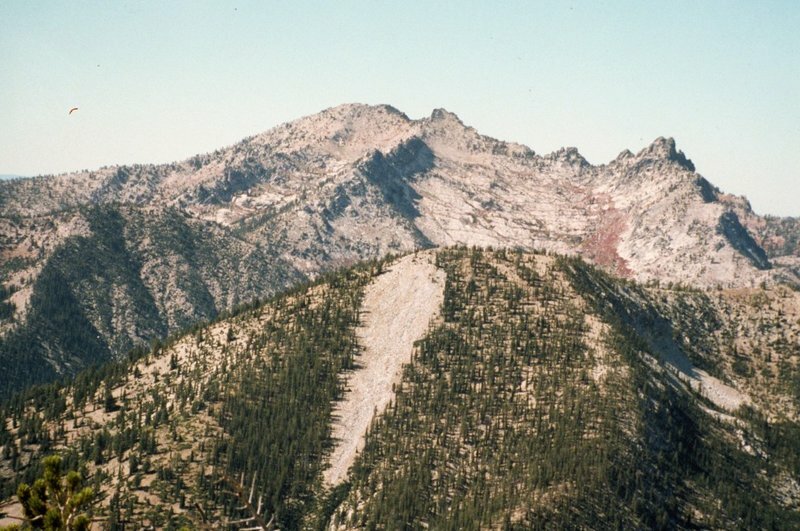 This photo is from the slopes of Newman Peak looking north. In the southwest the Boise Mountains begin at the Boise City limits and thus, are extensively used by Bosiens. The four most popular Boise area peaks are called the Grand Slam Peaks. 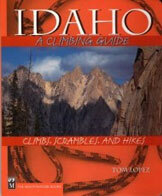 Check them out as they are climbable in the Spring and a great way to train for bigger peaks. 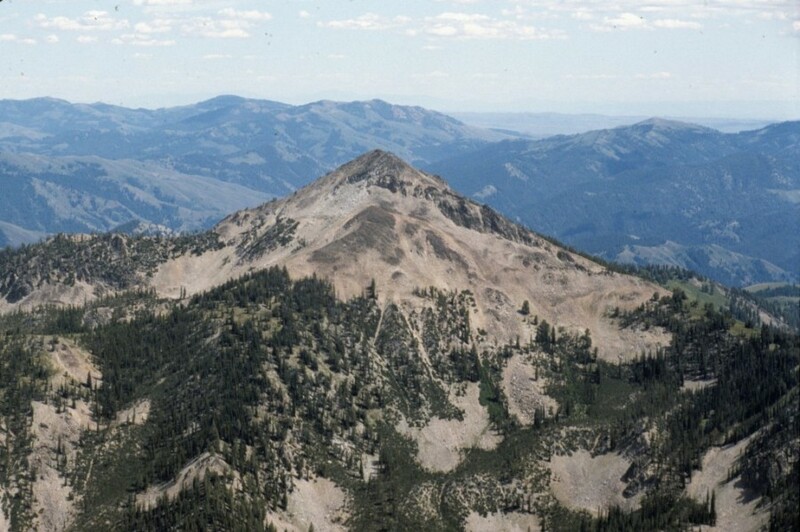 Heinen Peak is the tallest and most difficult of the Grand Slam Peaks. Boise Mountains peaks come in all shapes and sizes. Some are forested, some are rocky horns and most are accessible. 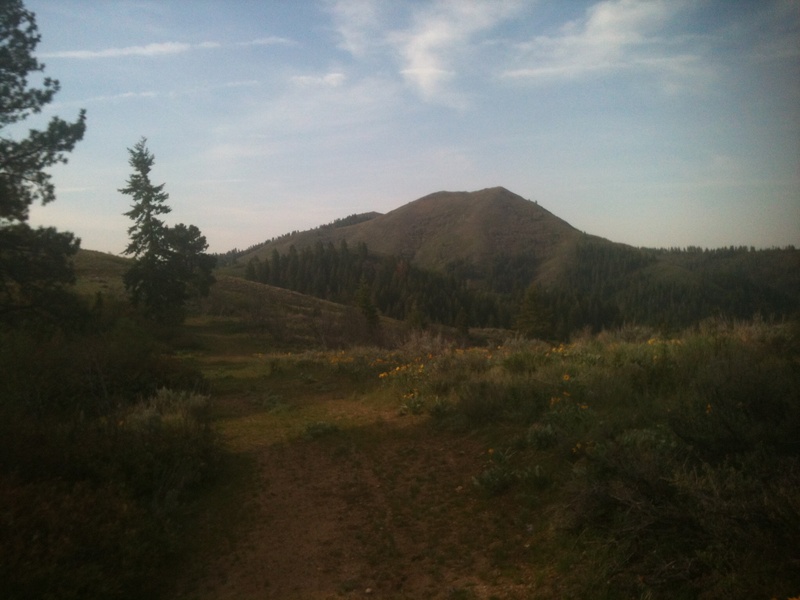 The Boise National Forest map shows many trails but they are not always easy to find as a lot of trailheads are not marked and many trails have not been maintained in years. Looking from Thorn Creek Butte across the Boise Mountains to the Steele Mountain.